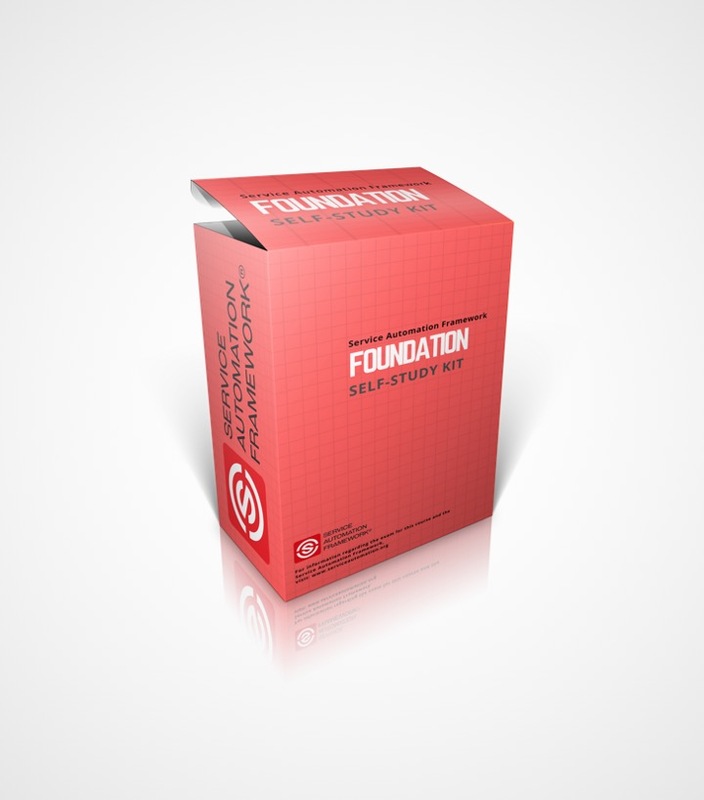 Get certified from anywhere in the world with the SAF Self-Study Kit! 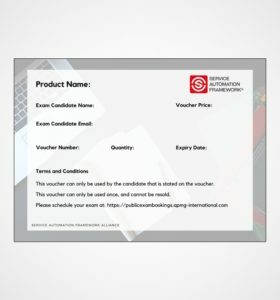 Service Automation Self-Study Kits provide you with self-paced, remote study materials for the official Service Automation Framework exams. Each kit includes a APMG-International worldwide exam voucher, the official text book, officially course slides, a self-study guide, sample exams, and various additional study aids. What does the SAF Self-Study Kit contain? Important Note: All documents will be available instantly upon purchase, with the exception of the official Book. A hard-copy Service Automation Framework Book will be sent to your registered address. The Service Automation Foundation course will give you deep insight into the concept of Service Automation, the concept by which you can automate your service offering. If you adequately apply Service Automation in your organization, you will see both employee and customer satisfaction rise and significantly increase the number of people who will ‘like’ your company. This course is intended for everyone who has ever experienced that the level of Service in his organization can be increased and is looking for guidance to achieve this goal. Whether you are an entrepreneur, executive, consultant or work in the field of academia, the Service Automation Framework will help you to consistently exceed user expectations. More information about the Service Automation Foundation course is available official course page. The Service Automation Framework is an absolute ‘must’ for every organisation that wants to deliver world class service to its customers. It provides a structured approach for designing your automated services, offering lots of practical techniques to be successful. This way it is not some conceptual thing, but directly applicable, regardless of the size or complexity of the service you want to offer to your customers. The Service Automation Framework is a new buzz word and concept in industry. The course was designed to be comprehensive, explanatory and provided real insight on Service Automation concept and relevant processes by which I can automate couple of my service offering. 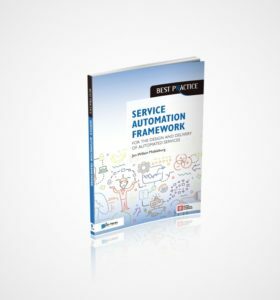 The self-study material provided by The Service Automation Framework Alliance is one of the most experienced and trusted course material written into easy to understand and in plain English language. It’s not only strengthen your knowledge and preparation for exams but also help a long way during real work scenarios. I feel, one should go for it – really worth to buy. The Service Automation Framework is a highly accessible, clearly articulated and incredible relevant addition to best practice frameworks already available. It lays out the a prescriptive way in which organizations can think about serving changing user expectations through planned automation, which allows enterprises to continously delight and even surprise their internal and external users. The self-study kit is very well put together, contains everything you need to study for the exam and use its ideas and templates later in your daily work. It is well worth not only going through the study material but also digging into the book and understanding the genesis of automation and its future. To me the book was important enough to purchase it electronically so I can reference it at client Meetings. A job well done from the team behind SAF and Good luck to everyone attempting this certification!